Oscar De La Hoya presented new, state-of-the-art boxing equipment valued at thousands of dollars today at Garden Grove Boxing. De La Hoya was joined by dozens of excited youth who gathered together to receive gloves, hand-wraps, mouth guards, headgear and other state-of-the art boxing equipment. Also during the giveaway, De La Hoya honored Ben Barker and the California Municipal Finance Authority as the 2017 Corporate Partner of the Year in recognition of their commitment to serving youth in Southern California. This was the fifth annual boxing equipment giveaway the Oscar De La Hoya Foundation has hosted for after-school youth programs. The Foundation, with the support of its corporate partner of the year California Municipal Finance Authority, is donating new, state-of-the-art boxing equipment to five gyms in Southern California that serve youth in economically disadvantaged communities. The equipment will help these local gyms to provide children and teenagers in their communities with an opportunity to practice the sweet science during their respective after-school programs. Recipients of the Foundation’s boxing equipment donations this giving season include Garden Grove Boxing in Garden Grove, Eddie Heredia in Los Angeles, Westside Boxing Club in Los Angeles, Azteca Boxing Club in Bell, and Duarte Boxing Club in Duarte. 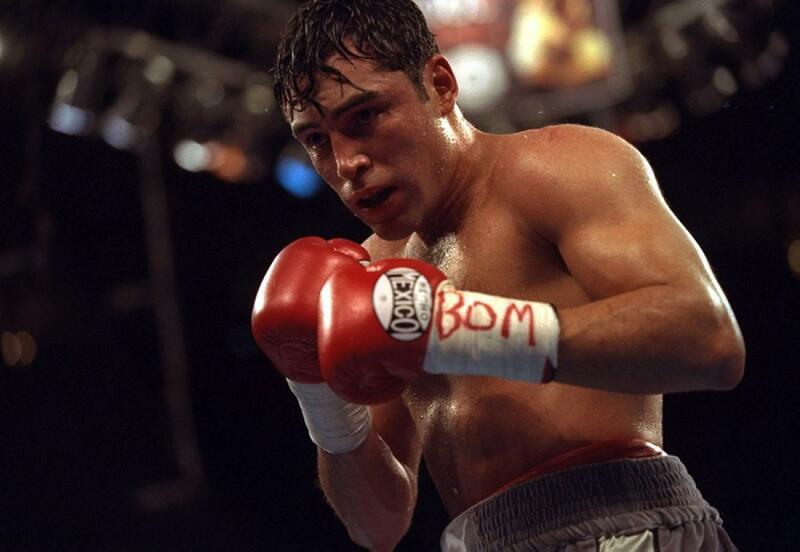 In 1995, De La Hoya started his namesake Foundation to help improve the quality of life for those living in disadvantaged communities. The Oscar De La Hoya Foundation supports the Oscar De La Hoya Animo Charter High School, the Cecilia Gonzalez De La Hoya Cancer Center and the Oscar De La Hoya Labor and Delivery Center and Neonatal Intensive Care Unit (both located at White Memorial Hospital in Los Angeles) as well as numerous after-school programs that help guide young people toward leading positive lives and away from the circumstances of gang violence, juvenile delinquency, and substance abuse.